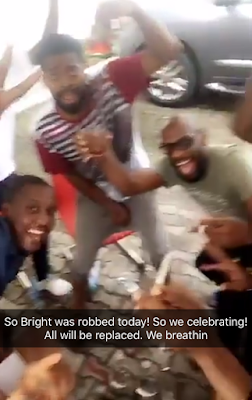 Comedian Bovi revealed via IG that his colleague Basketmouth was robbed this morning in his home in Lekki phase 1, between the hours of 2am and 4am. 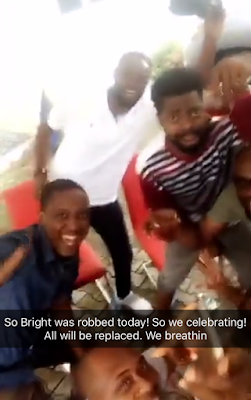 Basketmouth and his family were held at gun point while the robbery lasted but thankfully nobody was hurt. 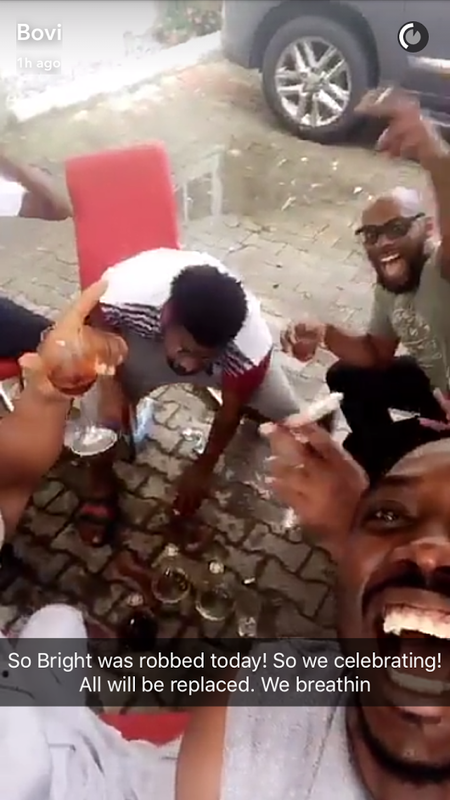 Bovi has now shared a video via snapchat in which Basketmouth can be seen having drinks with his friends, celebrating being alive..